as part of the 33 Restaurant Group (Photo © Brian Brown/Beer in Big D). The opening of Union Bear Brewing Co. presents those in the know with a case of "what's old is new again," as the once Dallas-based brewpub has established new roots in Plano. 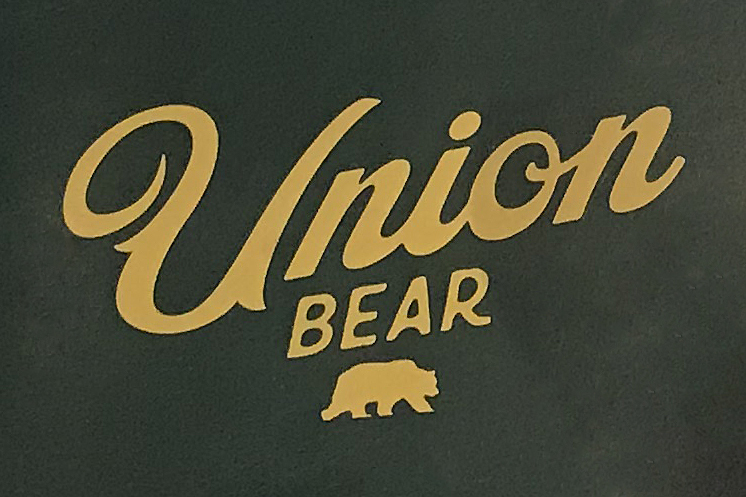 Originally a concept developed by The Spillers Group (Eno's Pizza Tavern, Oddfellows), the first incarnation of Union Bear opened in 2012 as part of the West Village development in East Dallas. At the time, the idea was to operate a small-batch brewpub making recipes in collaboration with local homebrewers. Things never really got going in that respect, however, with in-house brewing eventually being halted in early 2013. The restaurant side of the business carried on until August 2014, when it was announced that the brand had been sold to 33 Restaurant Group - the company behind Taverna Rossa, Cadillac Pizza Pub and, most recently, Heritage Pizza. A three-year hibernation ensued, after which Union Bear has re-surfaced in a new and stylish suburban beer den. Today, Union Bear resides in a 7250 square foot space located on The Boardwalk at Granite Park. And, while the area set aside for making beer only takes up about 700 square feet, the pilot system of the brewpub's past has been replaced with a more production-worthy setup. It's something that catches the eye upon entering the place, as a gaze through its glass-paned enclosure reveals an equipment cache consisting of a 10-barrel brewhouse, along with an array of 10 to 20-barrel fermenters and brite tanks. The brewhouse and finishing tanks line the entryway at Union Bear (Photo © Brian Brown/Beer in Big D). As for who's behind the beer, Brian Burton (Grapevine Craft Brewery, Four Corners Brewing Co., Texas Ale Project) and Jon Powell (Grapevine, Rahr & Sons Brewing Co.) have been tasked with developing Union Bear's initial lineup, not to mention what brews will be offered in the immediate future. A blonde and a red ale are among the house beers currently being poured, as is a white IPA. Most popular among those is likely to be the latter, but don't read white IPA and assume it's a beer that brings together elements of an IPA and a Belgian-style witbier. Union Bear's white IPA is fermented with an American yeast strain, as opposed to one of Belgian origin, and "white" simply means it was brewed with wheat. In terms of tasting notes, the beer is resinous, with a prominent citrus tone, hints of tropical fruit and a moderate finishing bitterness. What that means is, it's a sort of "no coast beer" (as the brewpub calls it), in that it doesn't fit directly into a West Coast or East Coast definition of the IPA style. Beyond that group of beers, Burton and Powell say the sky is the limit with regards to what comes next. Expanded offerings are expected to include an oatmeal stout (tapping by the end of the week), a bock and a double rye IPA. Barrel-aged beers are also in the plans, with an imperial stout to be among the first styles to get such a treatment. A bumped-up batch of the aforementioned double rye IPA may find its way into barrels as well, with bitters, cherries, orange peel and Benedictine added to create a beer-based version of one of Union Bear's house cocktails, the Speakeasy. Of course, it should be also noted that there's more to North Texas' newest brewpub than just house beers. The restaurant aspect of Union Bear serves a menu of "chef-driven takes on American classics," while the bar stocks a comprehensive selection of wine and spirits. Guest brews are also available, with the brewpub's 33 taps split between house beers, full-time taps (roughly a dozen) and featured rotators. Labels: new breweries, Plano, recap, Union Bear Brewing Co.